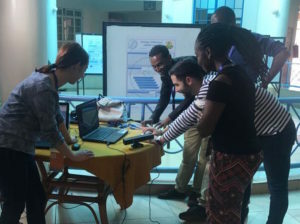 The Uganda Industrial Research Institute (UIRI), together with the African Biomedical Engineering Consortium (ABEC) and the UBORA consortium, is holding the 2019 ABEC Design Competition with the theme ‘Cross-Cutting Issues in Healthcare: Global Technology Innovations in Surgery, Obstetrics and Anesthesia’. This competition seeks innovative multidisciplinary ideas, overlapping engineering and medicine paradigms, from student teams. The sought ideas should tackle global challenges associated with surgical practice, obstetrics and anesthesia with an emphasis on low- and middle-income countries. Sustainable solutions can only be developed if engineers engage collaboratively with those at the forefront of delivering healthcare. Successful teams emerging from the design competition will have one team member invited to a one-week design school featuring an innovative Conceive Design Implement Operate (CDIO) instructional framework empowered by the UBORA an e-infrastructure for the co-design of open-source medical devices. It is a two-stage competition: the first-stage deadline is on April 1st 2019. For submission procedure, evaluation criteria, scholarships, and other important dates please refer to the Competition page. ISS Egypt: work in progress! At the half of the summer school, we can make a balance: 24 students divided in 8 groups working hard for their projects. Here you can find other pictures, Stay tuned! With the introduction speech of Dr. Rushdi, the ISS 2016 takes start at the Sofir Hotel in Cairo. It will be a fantastic week focused on the use of big data in medicine and biomedical engineering. Stay tuned! Innovators’ Summer School Egypt 2016 Updates! The Innovator Summer School 2016 will be held at the Cairo University from 23 to 27 January 2017. All the submitted projects were evaluated and the results will be communicated by each ABEC point of contact.